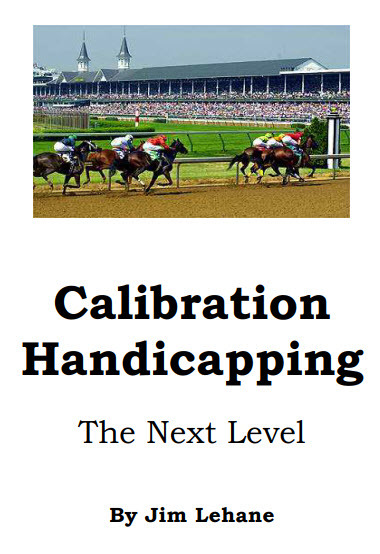 Jim Lehane is no longer selling his work 'Calibration Handicapping' and has generously given permission to put the PDF version of it in the public domain for free download. The book is still copyright by Jim Lehane. Thanks Jim for your contribution to handicapping literature! Last edited by Ted Craven; 08-07-2018 at 05:14 PM. Thank you both Jim and Ted! Goldmine of literature here and on the site. I updated the PDF with a version including all DRF Past Performances (missing in original document). Thanks to 'fasthorses' and another anonymous member! Last edited by Ted Craven; 08-11-2018 at 12:12 PM. This is a great book - glad it can be shared with others now. Jim is a good guy, great handicapper with original ideas. We need more like him in the game. I purchased Jim Lehane's "Calibration Handicapping" and it was a good buy. It helped me to be more open-minded and accepting of handicapping ideas.